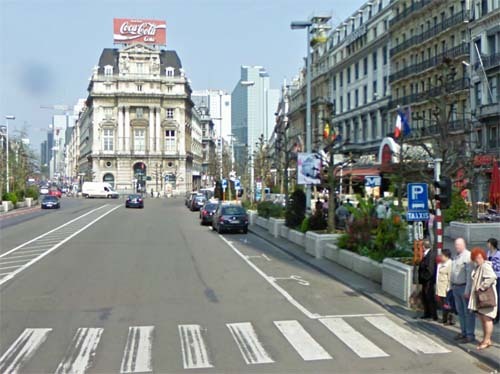 The De Brouckèreplein or Place de Brouckère is a square in the center of Brussels, named after Charles de Brouckère (junior). The square is one of the main thorough fares of the city center of Brussels, which was created by the vault of the Zenne. The Brouckèreplein took the place of the in 1893 demolished Augustine Church. The De Brouckèreplein is dominated by buildings from the turn of the century, but since the seventies, there are also modern behemoths risen. On the east side of the square there are two underground shopping arcades, the Anspach center and the Coin-center, extending to the Muntplein. The square is the presence of theaters, a cinema multiplex, hotels and restaurants as one of the main venues and entertainment centers in the city. Jacques Brel sang the turbulent square in Brussels, one of his most famous songs. The De Brouckèreplein is not only an important hub for traffic – the busy Boulevard Anspach, coming from the south, down here in the small ring leading Emile Jacqmain and Adolphe Max – but also for public transport. Below the square is indeed one of the busiest stations of the Brussels metro: The Brouckère. Here crosses the east-west lines 1 and 5, the north-south axis of the pre-metro. The bus station is also Bisschopstraat start and end points for various urban and regional bus services. 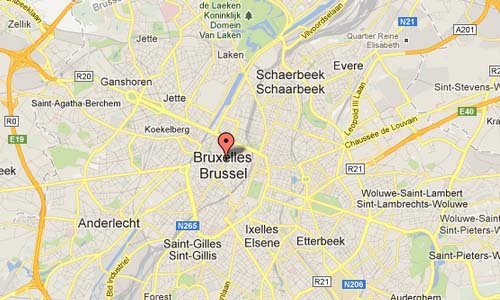 Brussels has grown from a 10th-century fortress town founded by a descendant of Charlemagne to a sizeable city. The city has a population of 1.1 million and a metropolitan area with a population of over 1.8 million, both of them the largest in Belgium. Since the end of the Second World War, Brussels has been a main centre for international politics. Hosting principal EU institutions and the headquarters of the North Atlantic Treaty Organization (NATO), the city has become the polyglot home of numerous international organisations, politicians, diplomats and civil servants. 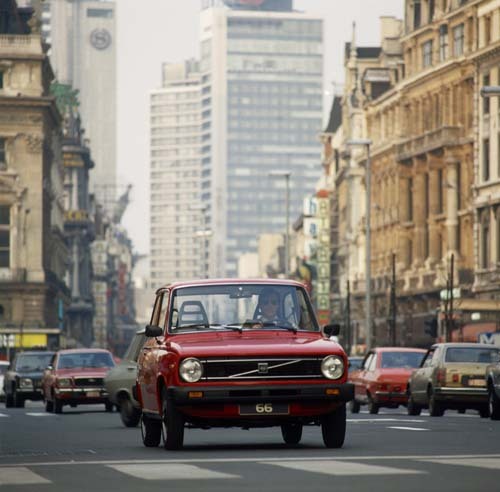 Historically Dutch-speaking, Brussels has seen a major shift to French since Belgian independence in 1830. Today the city is officially bilingual. All road signs, street names, and many adverts and services are shown in both languages. 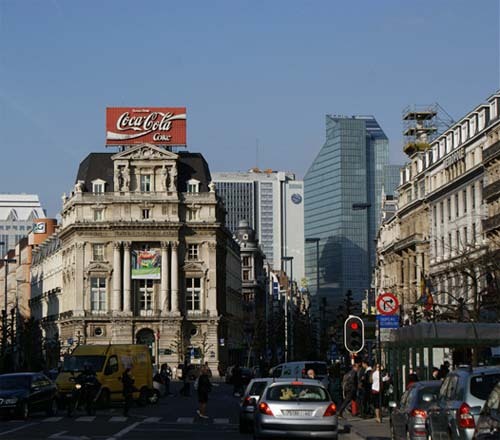 Linguistic tensions remain, and the language laws regarding some municipalities surrounding Brussels are an issue of considerable controversy in Belgium.